While it’s technically been fall for almost a month, this weekend it really started to feel like autumn! Fall is easily my favorite season. Between the crisp cool air, football games, leaves changing, and all things pumpkin flavored, what’s not to love? 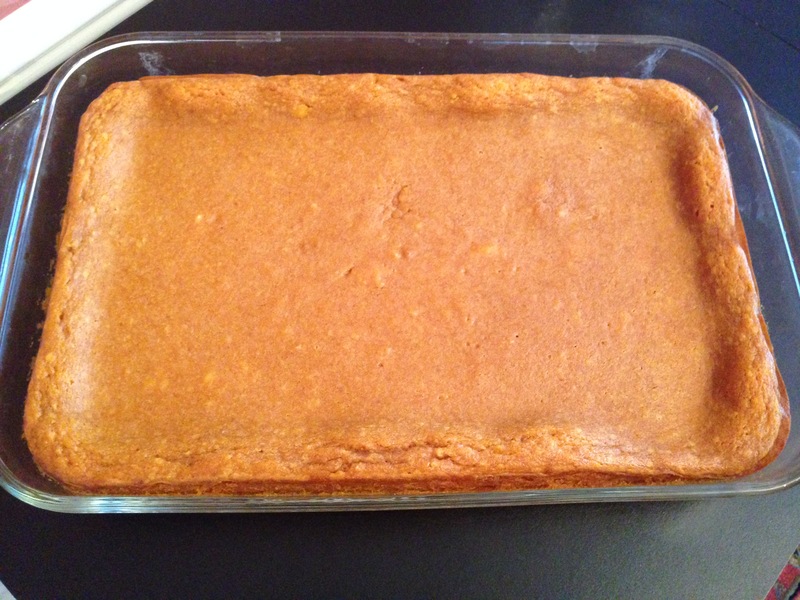 One of my favorite fall desserts is Pumpkin Gooey Butter Cake. If you read my post about Lemon Gooey Butter Cake you already know that gooey butter cake is one of my favorite desserts. On top of a fantastic pumpkin flavor, Pumpkin Gooey Butter Cake has a texture somewhere in between cheesecake and pumpkin pie which makes it great for any holiday party. Plus it’s super easy to make! Last year we made it instead of pumpkin pie for Thanksgiving, but this year I have a feeling it’s going to be our go to dessert for tailgates and parties. You can find the recipe here. I hope you enjoy this dessert as much as our family does!